Dr. Huang has been providing quality holistic care since 1999 when he received his degree from the Los Angeles College of Chiropractic. He is licensed in both chiropractic and acupuncture. In his dedication to bringing his patients the best and most up to date care, Dr. Huang continues to advance his medical education. In addition, about four years ago he began teaching acupuncture seminars to chiropractic doctors and acupuncturists. His specialty is I Ching acupuncture with which he has been successful in helping patients with a wide variety of issues including smoking cessation, weight loss, head injury and infertility. He has used acupuncture effectively for pain management, allowing many patients to completely stop opioid use. He has also been very effectual in treating patients post surgically, using acupuncture to control pain and speed healing after procedures such as knee or hip replacement. In 2005, he opened his own office in Twinsburg, Ohio where he currently practices applied kinesiology, chiropractic, nutritional counseling and acupuncture. Dr. Huang’s emphasis is on supporting overall health and wellness for his patients and on treating the underlying causes of ailments rather than symptoms. His mission is to help as many people as possible to reach their maximum health potential. He has been successful in treating a wide range of conditions in children, teens, adults and seniors. The patients love his positive attitude and the individualized care he provides on every visit. Dr. Huang’s wife, Ruth, works with him and they have raised two lovely daughters, Grace and Jessica. Grace is currently studying chiropractic at University of Western States. Due to her father’s influence she will focus on holistic care. Jessica is studying Environmental Studies & Environmental Science at Dickinson College. 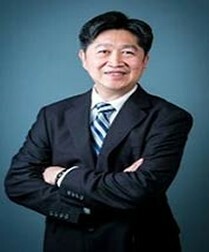 In his spare time, Dr. Huang enjoys spending time with his family outdoors including hiking, biking and fishing. Dr. Devens graduated from Iowa State University in 2001 and went to work as a cost accountant for a large industrial company. While working in Davenport, Iowa, he was introduced to chiropractic students and was amazed at their excitement in treating patients holistically. It was then he realized sitting behind a desk was not what he wanted to do for the rest of his life. 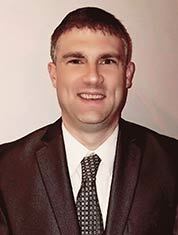 He changed his career path and graduated from Palmer College of Chiropractic in 2006. Since then, Dr. Devens has completed the classroom hours and study time to receive his certification as an applied clinical nutritionist and a certified clinician in whole food nutrition. He continues his education on a mission to provide excellent care for his patients. Dr. Devens has helped many patients with weight loss, fatigue, sleep disorders, arthritis, gout, allergies, digestive disorders, and more. He works with the patients and educates them on lifestyle changes in the belief that permanent results come from permanent changes. Dr. Devens shares Dr. Huang's passion for treating the whole person and doesn't believe in chasing symptoms. He looks forward to helping you with your health and wellness goals. Dr. Devens is married to his wife Tiffany and has three boys. Raised in a military family, he is dedicated to staying active and organized. He enjoys fishing, martial arts, baseball, and good-quality family time. Shelley graduated from the Cleveland Institute of Medical Massage and has been working as a licensed massage therapist since July 2011. 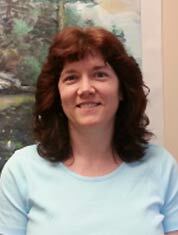 She provides therapeutic, deep tissue, hot stone, trigger point, and relaxation massage. She is also certified in geriatric massage techniques and positional release therapy. Shelley truly enjoys working with others to help them achieve their wellness goals. She believes that massage can stimulate the body's innate ability to heal and positively impact people's lives. Karla grew up in Pennsylvania. She first moved to Ohio to attend Hiram College where she graduated with a bachelor's degree in biology. After meeting and marrying her husband, she moved to Columbus where she graduated from Ohio State University with a doctorate in veterinary medicine. She practiced in a small animal clinical setting for 14 years and then in shelter medicine for eight years. After suffering from a variety of health concerns, she was forced to end her career in veterinary medicine. It is through researching and learning how to overcome her health problems that she developed a passion for holistic medicine and nutrition. She continues to attend many classes and seminars to increase her knowledge and is trained to perform and interpret the Heart Sound Recorder. Outside of work, she enjoys spending time with her husband and two teenage daughters, taking long walks in nature, and yoga. Their pets include two dogs and a hedgehog. She is also very active in her church and feels God led her to this job where she gets to interact with and help people who are striving to improve their health. 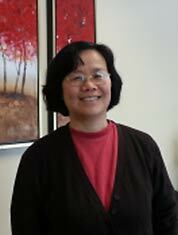 Ruth loves being part of helping people get well through the care of Dr. Huang and Dr. Devens. She treasures the special gift that God gave to her husband, Dr. Huang, and very much enjoys working with him. Ruth has a master's degree in music performance. She is active in her church and enjoys playing piano for their church meetings. In 2005, she helped set up the chiropractic clinic, doing the front desk, billing, bookkeeping, and assisting Dr. Huang. Later, God answered their prayer, and the clinic expanded, allowing Dr. Huang to help more patients and the office to service more people. She hopes you enjoy visiting our office and getting natural health care help from Dr. Huang, Dr. Devens, Maria, Arti and the staff. Carolyn grew up in Bedford, Ohio, and she still lives around her hometown. She attended Bowling Green State University and received a bachelor's degree in communication. After graduation, she married her college sweetheart and had four children. Raising them was her primary focus. 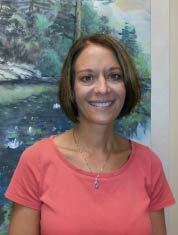 She has been with Integrative Chiropractic since 2009 as the morning receptionist. Carolyn enjoys the patient interaction that is part of her job. 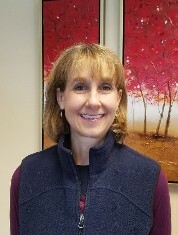 She appreciates the relationships she has developed with many of the patients and really believes something about the clinic attracts the best people as patients. She feels blessed to be part of an office that truly helps so many people. Chin grew up in Taiwan and has lived in the U.S. for over 25 years. Currently, Chin lives in Novelty, Ohio with her husband and three children. Chin came to this country with a desire to pursue higher education and to learn about Western culture and Christianity. Chin got a Master's Degree in Early Childhood Education from the University of Iowa in Iowa City, Iowa. Before working at Integrative Chiropractic Clinic, Chin was a stay-at-home mom and a substitute Chinese teacher at University School and Hawken Middle School. Chin is grateful to be part of the team at Integrative Chiropractic Clinic where the doctor and the staff have the daily opportunity to address patient needs and questions. Linda is originally from Michigan and has lived in Northeast Ohio for over 30 years. She received a Bachelor’s of Science degree in Electrical Engineering from Oakland University in Rochester, MI. After a 10 year career in the manufacturing and computer industry, she left to focus on raising her three children. These past several years, she has enjoyed working part-time for a local veterinary and for Christ Community Chapel. 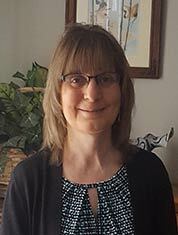 Linda likes to spend time with her husband biking on the awesome bike trails of Northeast Ohio and taking her golden retriever for long walks. She also enjoys volunteering at Christ Community Chapel and with Bible Study Fellowship. Her grown children are all in Northeast Ohio and she is blessed to have them nearby. 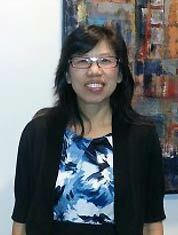 She is excited to greet and assist patients as part of the front desk staff at Integrative Chiropractic Clinic. She shares the staff’s enthusiasm for achieving wellness via a healthy balanced life.